Wrinkles are a hallmark of ageing. They are never welcomed, as they are often tell-tale signs of your age. While we may dislike wrinkles of all nature, not all wrinkles are created equally. The two main types of facial lines are dynamic and static wrinkles. In general, wrinkles appear more frequently on the face and hands and grow in number as we age. Expression lines that occur as a result of repeated facial muscle contractions fall under this category of wrinkles. The furrow on your forehead that forms when you frown can gain a permanent status as we age. Daily facial expressions force the skin to fold repetitively along the same groove, forming deep, persistent creases with repeated actions over time. Frown lines and crow-feet wrinkles are typical examples of expression lines. Specifically, the wrinkle is formed due to buckling behavior when facial muscles contract. Buckling behavior describes the skin layer corrugating, or to contract into folds when an external force is applied e.g. muscle contractions. As the facial muscles relax, the skin bounces back to normal, but less so as we age. Static wrinkles are caused by a loss of elasticity and volume over time. Such wrinkles are formed regardless of muscle movement. The collagen and elastin fibers in our skin cells degrade over time. Such fibers are major structural components of the human skin. Less collagen and elastin fibers are produced as we age. Collagen and elastin fibers can also be further degenerated by chronic UV exposure. UVB rays trigger an enzyme that breaks down elastin fibers, which leads to a decrease in skin elasticity, contributing to wrinkle formation. Simply put, excessive UV radiation can exacerbate the wrinkle formation process. Sleep wrinkle is an interesting type of facial line with growing research. When we sleep on our side, the facial tissue is subject to compression and tensile mechanical forces. The skin is stretched in different directions as our sleep position changes. Such forces become significant considering the amount of time we spend asleep. While sleeping on your back can help minimize sleep wrinkles, it is extremely difficult to change sleep patterns. Specialty pillows now exist to help minimize compression during sleep. A proper approach to wrinkle treatment includes effective topical agents, photoprotection and filler alternatives. Using sunscreens with adequate UVA/B filters will be a good daily practice, given that the sun damages our skin continuously. UV radiation accelerates ageing and the appearance of wrinkles. Adopting a habit of applying sunscreen correctly and sufficiently can delay the appearance of wrinkles. Facial fillers are a variety of biologic and synthetic materials injected into the fact to correct lines and wrinkles. Hyaluronic acid fillers are the most common fillers, as it helps the skin retains elasticity, turgor and moisture. Neurotoxins are also used often as wrinkle treatment. Also known as vitamin A, retinoids are known for its efficacy in improving fine lines. Topical tretinoin is capable of reversing effects of UV irradiation and increase fibroblast (collagen-producing cells) activity. However, its side effects of itching, burning, redness and skin peeling are common. Together with retinoids, AHAs are a mainstay in skincare and dermatological therapy. Examples of AHA include glycolic and lactic acids. They promote cell renewal and increase the thickness of the skin layer. AHAs work by weakening the bonds between skin cells, allowing the turnover of new cells. Along with wrinkle improvement, topical AHA helps to improve skin elasticity and tone. A topical application of niacinamide, or vitamin B3, reduces wrinkling, sallowness, red blotchiness and hyperpigmented spots in aging skin. Niacinamide helps in the improvement of wrinkles via various mechanisms. Topical niacinamide boosts collagen levels by triggering fibroblast activity. Fibroblasts are connective tissues in charge of producing collagen. Niacinamide also restores our skin barrier function by enhancing ceramide production and renewal of skin cells, leading to a reduction of wrinkles. Argireline is a type of peptide with a significant anti-wrinkle ability. It is able to inhibit the repetitive contraction of muscles involved in facial expression, thereby reducing the facial lines that may emerge. With no primary skin irritation, argireline boasts a favorable safety profile ideal for anti-ageing treatment. Other amino acids with efficacy in wrinkle treatment are leucine and glutamine. These amino acids function by triggering protein synthesis and increasing production of collagen respectively. 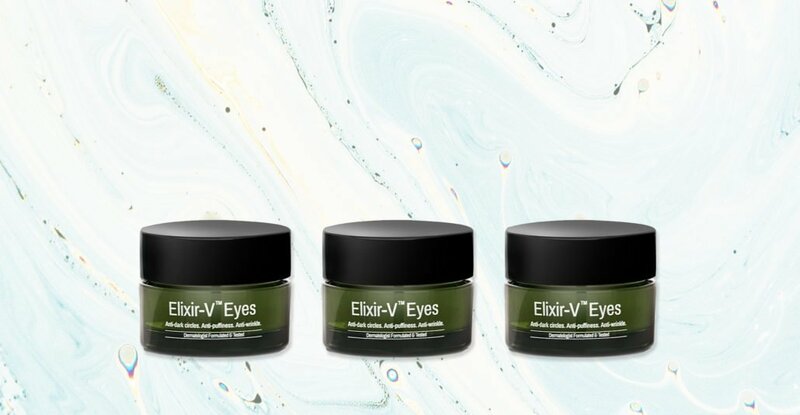 Elixir-V™ Eyes is a dermatologist-formulated anti-ageing eye cream, with niacinamide for brightening effects and oligopeptides to lift and repair the skin. LARECEA™ Extract accelerates collagen formation, replenishing the skin with the collagen lost as we age. 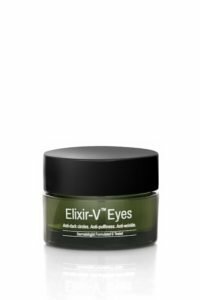 This eye cream is designed to target wrinkles, puffiness and dark circles, allowing total nourishment for the eyes in a single application.